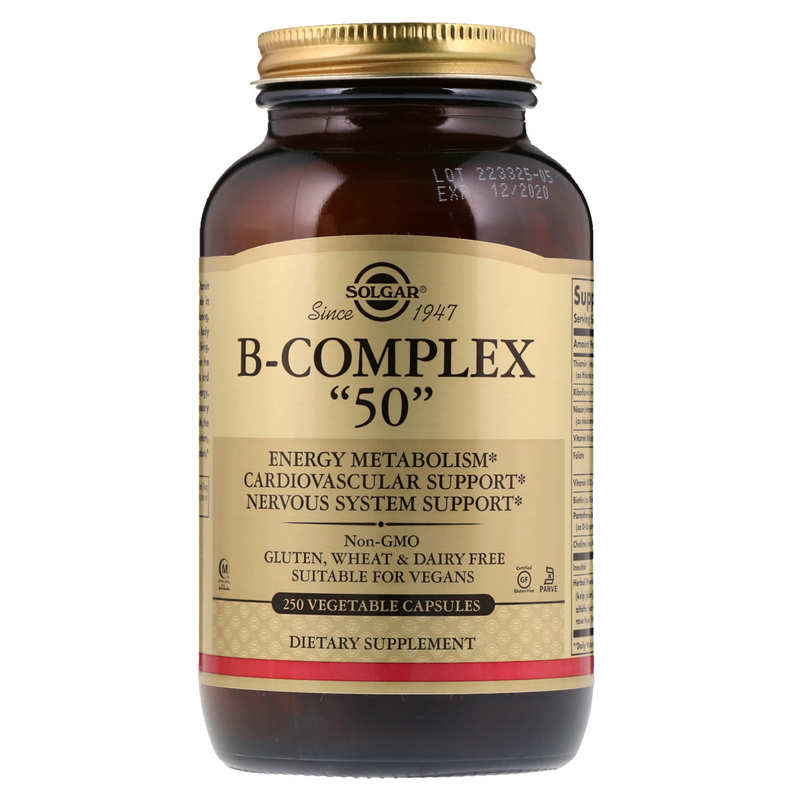 Each required nutrient in the Vitamin B Complex performs a unique role in maintaining proper metabolic functioning, while nutritionally supporting the body during the occasional stress of daily living. B Complex vitamins are needed for the metabolism of carbohydrates, fats and proteins, which convert food into energy. 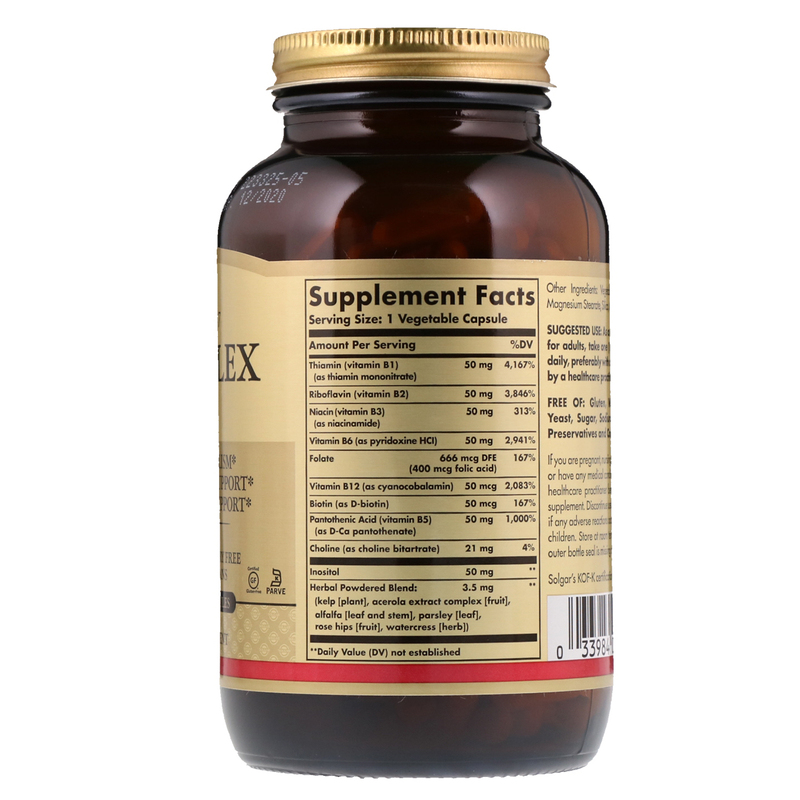 In addition, these vitamins play a necessary role in supporting cardiovascular health, the promotion of a healthy nervous system, and support for red blood cell formation. Vegetable cellulose, vegetable magnesium stearate, silica, microcrystalline cellulose. If you are pregnant, nursing, taking any medications or have any medical condition, please consult your healthcare practitioner before taking any dietary supplement. Discontinue use and consult your doctor if any adverse reactions occur. Keep out of reach of children. Store at room temperature. Do not use if outer bottle seal is missing or damaged.